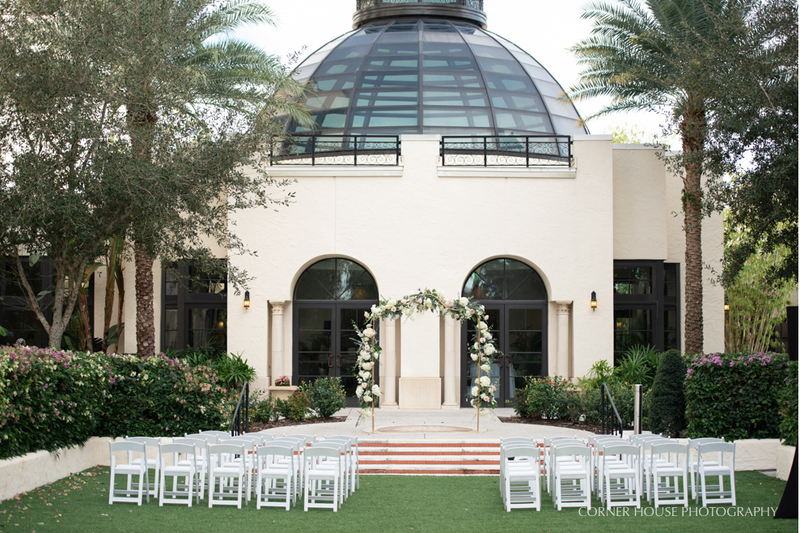 Traci and Jack tied the knot during their Alfond Inn wedding in Winter Park, Florida. Winter Park has become a sentimental location for the two, as they shared their first date in the little city, along with many dates since. Falling in love with one another, Traci explained that they “balance each other out.” Diving further into her explanation about their love, she explained that they “are always willing to communicate and work to make our relationship better.” It is this very love that built their relationship from the beginning and continues to strengthen it every day. Jack knew he had found the one and proposed to Traci in their home after a wonderful date spent with his family. 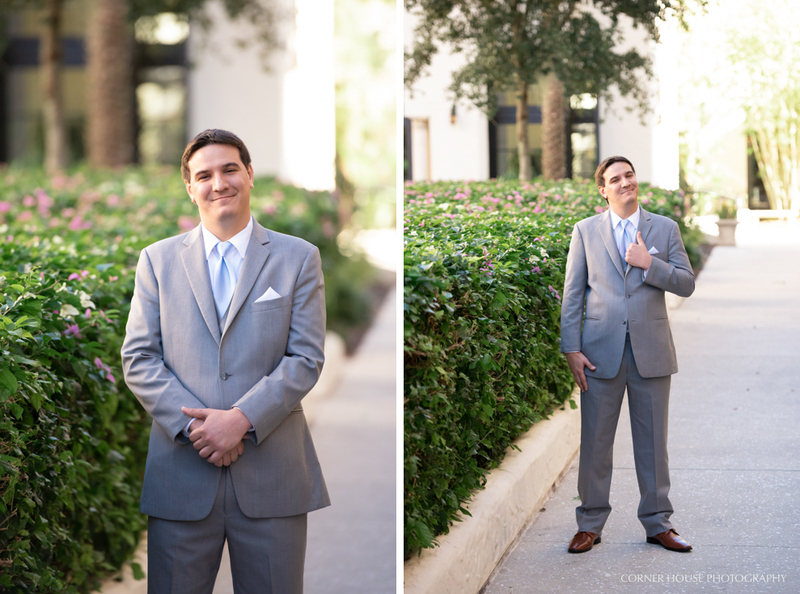 Fast forward to their wedding at The Alfond Inn in Winter Park, the two could not have been more excited for their big day to arrive. Arriving to Traci’s room first, I started off with capturing her details while the girls wrapped up eating lunch and finishing up hair and makeup. Jack and his guys met me downstairs for their getting ready portraits of suiting up and of course a cheers for Jack tying the knot. Cute shots of the girls in their robes, along with a special shot of just Traci and her mom, were followed by the big moment (well second big moment!) of the day in putting on her dress. Traci’s two MOHs Kelsey and Alex helped along with her mom. With the two wanting to attend cocktail hour after their ceremony, we scheduled time for a first look and formal portraits to take place prior. Outside along side their ceremony location was the perfect walkway for a first look. Jack could not hold back the kisses after seeing Traci for the first time! 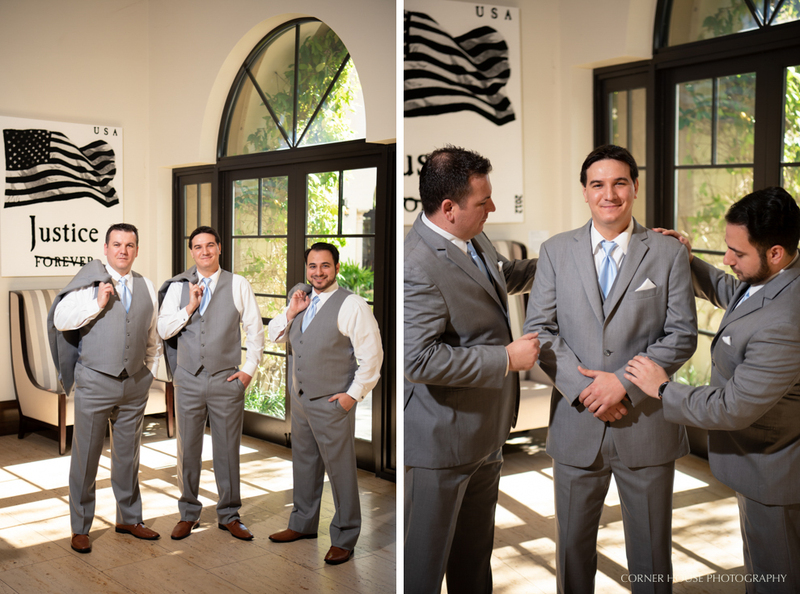 After having a moment together, we headed back inside to begin their family formal portraits in the atrium. After formals, our couple took a moment to relax before the ceremony began. Out on the great lawn, the two tied the knot among friends and family. The lighting could not have been more perfect as a cloudy day diffused the suns rays. With a first kiss shared, everyone headed back inside the atrium for cocktail hour before the party began in the great ballroom. Tabitha, with Our DJ Rocks, kicked off the night by introducing our beautiful couple – now officially Mr. and Mrs.! Dancing, toasts, and blessings, were followed by a delicious dinner and a ton of dancing!